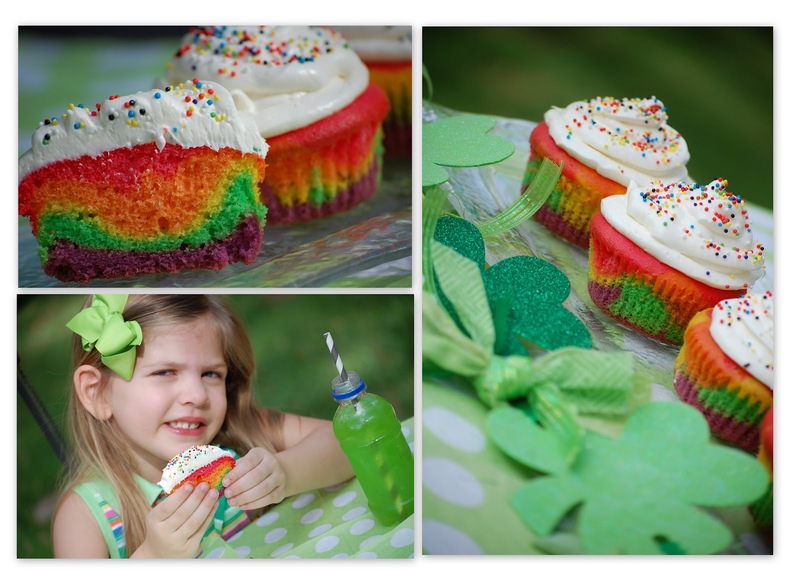 Want to catch a sneaky little leprechaun and learn a little bit about colors this St. Patrick's Day.... then break out the cake mix and dust off that old box of food coloring. Because rainbow cakes are all the rage. I am sure you have seen countless versions on Pinterest and all over the web. There is no better way to prepare for a little St. Patrick's Day visitor than to bake a rainbow cake. To make a rainbow cake all you need to do is separate a white cake mix into 6 separate bowls. Then add food coloring. This is a great way to introduce color mixing to your curious little ones. 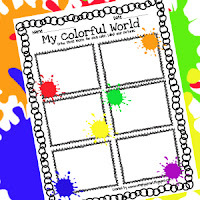 For a fun activity for the classroom or home on color sorting visit my TPT site. To bake our little leprechaun treat simply pour cake batter into a large glass mason jar. Starting with Purple, blue, green, yellow, orange and then red. **Caution make sure not to overflow, fill only half way. After being a classroom teacher for 10 years I'm pretty sure a teacher must have come up with cake baking in mason jars. Because I don't know about you but every time I had a cooking project in the classroom I always forgot the most essential of items. So I'm sure sometime somewhere a teacher forgot her cake pans and pulled out an old mason jar from her supply closet....and viola instant Pinterest phenomenon. Anyway it came to be is fine by me, I simply love the way the colors are layered together. While your cake is baking in the oven for the next 25 - 30 minutes you can take the opportunity to review those colors with your little one. I like to use my muffin tins as sorting trays. I put colored pieces of construction paper in the bottom of each cup. I set my timer for 7 minutes and my little one runs around the house finding objects to add to her tray. This is a great hands on activity on color exploration and sorting. We also enjoyed a little watercolor painting. A great way to teach about color blending and the primary colors is by using watercolors. We practiced making rainbows using our paints making sure we were saying each color as we painted. While we waited for our cake to cool we played a quick game of color memory, matching the color words to the corresponding color. You can get yours here. With a few activities on colors under your belt you are on your way to St. Patrick's Day. Now that your rainbow cake is all done all that is left to do is to design a leprechaun trap to catch one of those sneaky little fellas. My three year old really used her imagination tonight to create hers, she gathered all kinds of supplies from around the house, we set our rainbow cake in the middle and got the trap ready. She went to bed tonight filled with anticipation she can't wait to wake up in the morning and see if she caught a pesky little leprechaun.....I can't wait to see what tomorrow will bring. Stay tuned. 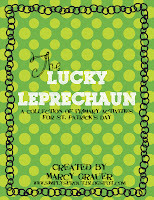 If you would like to have a leprechaun visit your class or home and you want some cute activities for St. Patrick's Day stop by my TPT site.